This Emirates Economy Class 777-300 Review is from our recent Emirates flight from Dubai to Male, Maldives, after a short stay at the Raffles Dubai and an Emirates First Class A380 flight from NYC to Dubai. We booked our award tickets with pre-devaluation Alaska miles, and there was only Emirates First Class between NYC and Dubai, and only Emirates Economy Class between Dubai and Male. Emirates Economy Class on the 777-300 includes 310 seats, mostly in a 3-4-3 configuration, although rows 46-50 are in a 2-4-2 configuration. I like the mini cabin of rows 17-21, which is between Business Class and the main Economy Class section. Figuring that our 4:30am flight wouldn't be hugely popular, I booked my son and I in 19H and 19K, hoping that the middle seat would remain empty, and it did. Of course, during fuller flights, that middle seat could easily have been taken, so the strategy isn't without risks. 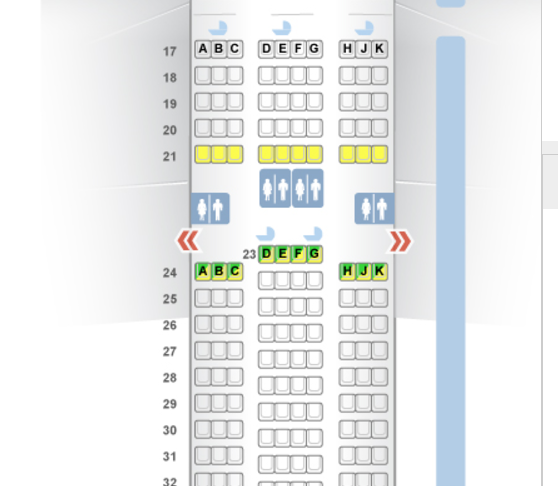 As usual, I would recommend avoiding the last row of that mini cabin, row 21, due to light and noise interference from the lavatories right behind those seats, and would similar avoid the last couple rows of the main cabin, 49 and 50, due to the lavatories and possible crowding from people waiting in line. 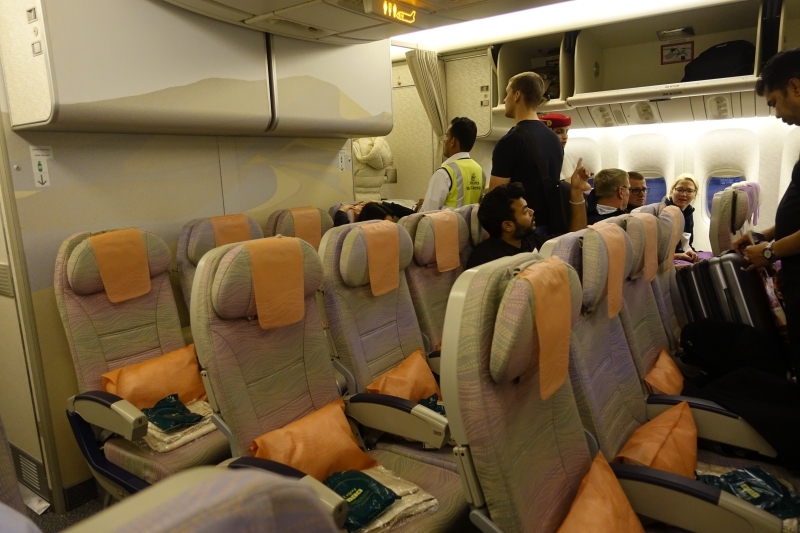 Emirates Economy Class seats are 17 inches wide and have 32 inches of pitch, so similar to JetBlue, although as an international flight, there were pillows and blankets offered, which are long gone on most U.S. economy flights. Recline was minimal, but at least the seats reclined a little, rather than Air France domestic economy seats, which don't recline at all. Headsets were also better quality than the cheap earbuds on domestic U.S. fights. And the Emirates IFE system, “ice” (standing for information, communication, entertainment) is the same as we had on the A380, from the Roald Dahl Channel I'd spotted (the new BFG movie, James and the Giant Peach, Fantastic Mr Fox, Matilda, Willy Wonka & the Chocolate Factory, The Witches) to all 7 Star Wars movies, new releases such as The Light Between the Oceans, Florence Foster Jenkins, The Infiltrator, Captain Fantastic, X-Men Apocalypse, etc. 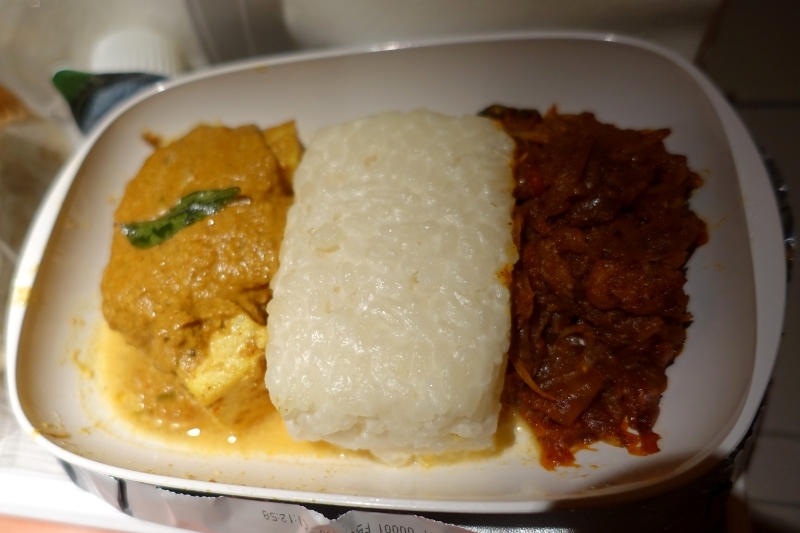 Our breakfast menu choices on this 4 hour flight were scrambled eggs, served British style with baked beans and sauteed mushrooms, or Sri Lankan fish curry with coconut rice cake and spicy sambal. I ate the fruit and drank the orange juie, but not the industrial looking bread or muffin. I did like that there was Bonne Maman jam, which is better than the jam you typially get in economy (if you get any food at all) on U.S. domestic flights. But the Sri Lankan fish curry with coconut rice and spicy sambal was fantastic for an economy meal. 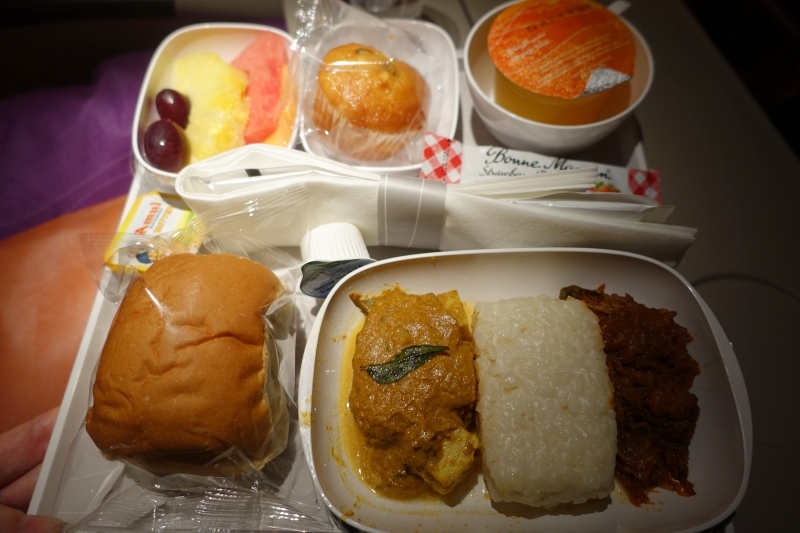 In fact, it's one of the best economy class meals I've ever had, and didn't skimp on the spice. Obviously if you avoid Thai food and are a meat and potatoes eater, this meal is not for you, but for spicy food fans, this is a winner. The plan was for my son to get a nap across our 3 seats, but since he was excitedly watching kids' cartoons, I ended up resting instead. While I didn't get any real sleep, even just being able to lie down and rest my eyes helped. Of course, if you're fortunate enough to be able to lay claim to entire row of 4 seats, that's even better. Don't forget to bring your own sleep mask, since of course sleep masks aren't supplied in economy. 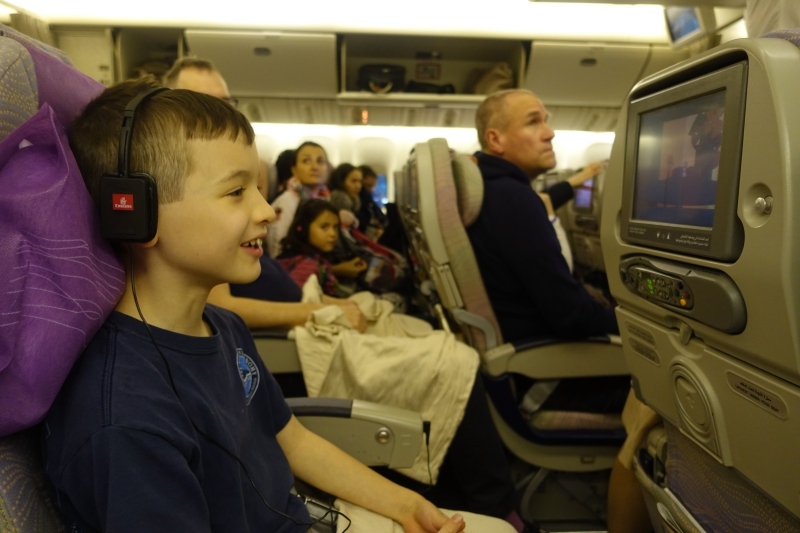 While 4:30am certainly isn't my favorite time to fly, our 4 hour Emirates Economy flight was fine, at least for my son and me, although less comfortable for my tall husband. 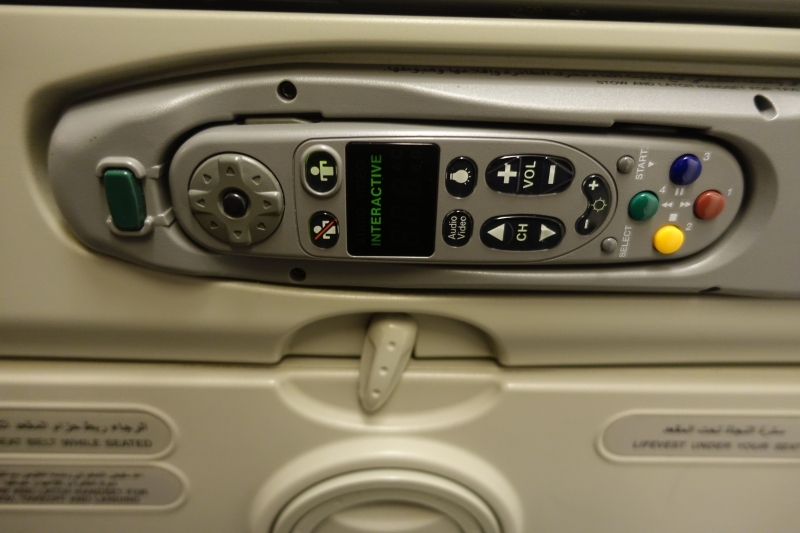 The many IFE choices certainly help, if you're alert enough to watch them. 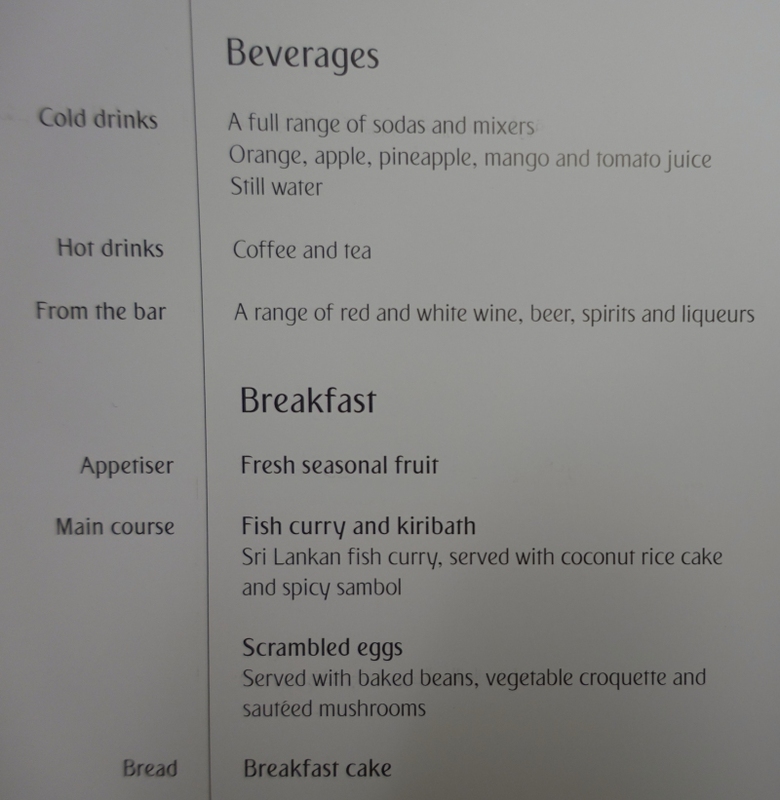 And Emirates continues to impress me with its food, at least if you opt for a spicy ethnic option, such as the Sri Lankan fish curry. 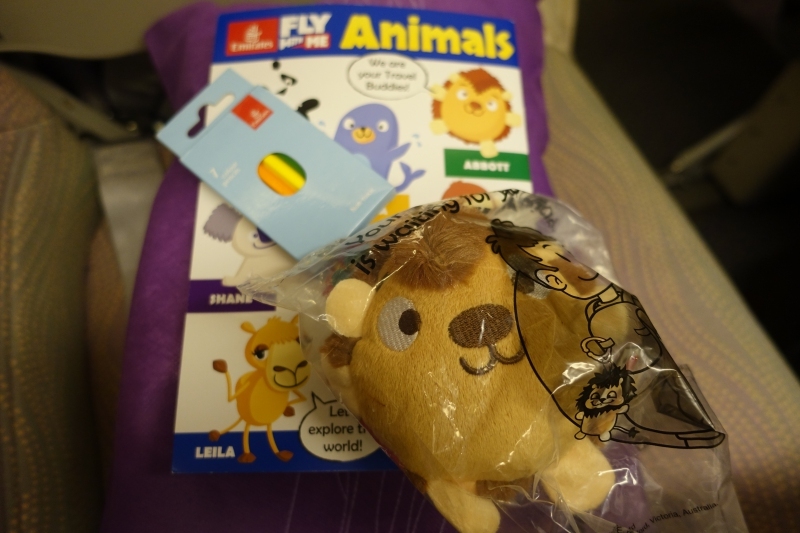 And while Emirates doesn't have Etihad's “Flying Nannies”, my son received these kids' amenities, and enjoyed the word puzzles in the activity book. 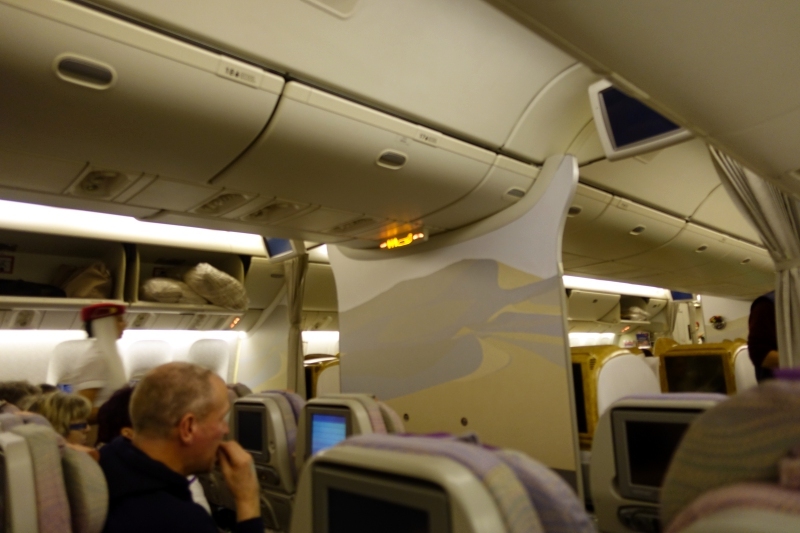 If you've flown Emirates Economy Class, what was your experience?